Do you receive lots of requests from people in your company asking you to print things for them? Is it difficult to communicate with them about their desired print, or difficult to keep track of which version of the file to print? Read on to see how GrabCAD Workbench can help you solve this. 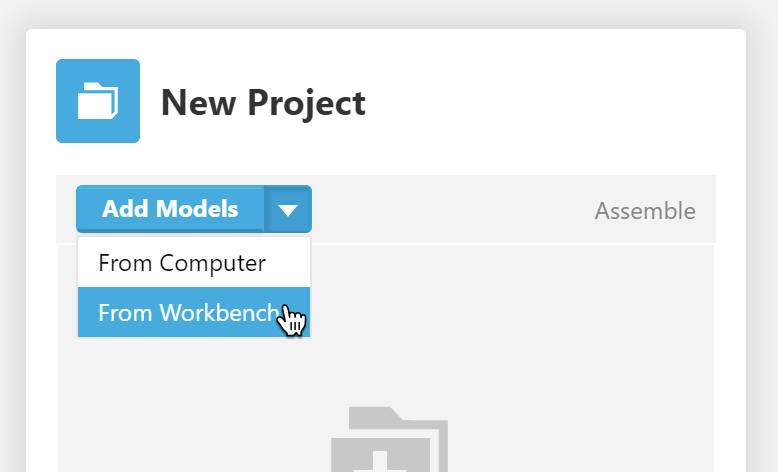 Workbench is a way for engineering teams to collaborate on a shared set of files. Click here to see how it compares to Dropbox, FTP, and local file server storage. The Desktop App — Keeps a local folder in sync with your secure projects online. Do your work on local files for faster load times, then upload when you're ready to push your changes. Learn more. Version History — Visualize how your file changes over time. Download or roll back to an old version. Learn more. 3D viewer — A powerful way to see your CAD files from any web browser. Includes a measurement tool, assembly component cross-highlighting, and much more! Learn more. Pins and sketches — Add specific references to the 3D viewer when you leave comments for your teammates. Learn more. 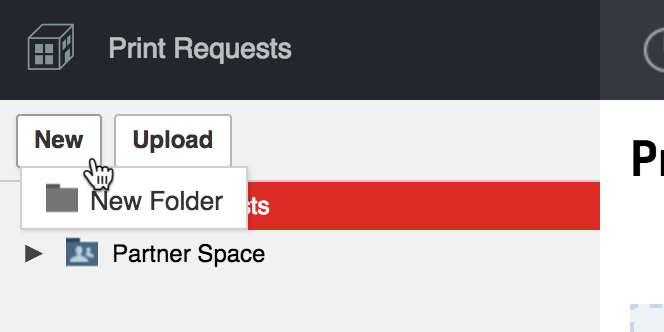 Partner Spaces — Set aside a selection of your project's files to share to a wider audience. Learn more. Workbench is absolutely free, and there's no limit on the amount of data you can store, or the number of collaborators you can have. Files on Workbench are totally private to you and your team, but click here to read more about security with Workbench. If you want to get a feel for the features and instructions on getting connected with the Desktop App, check out the self-demonstration instructions right here: Step-by-step workbench demo. If you're a CAD designer or manager and you'd like to use Workbench to keep your whole team's files in sync, continue reading the Workbench getting started guide here. Create a Workbench project for incoming requests. 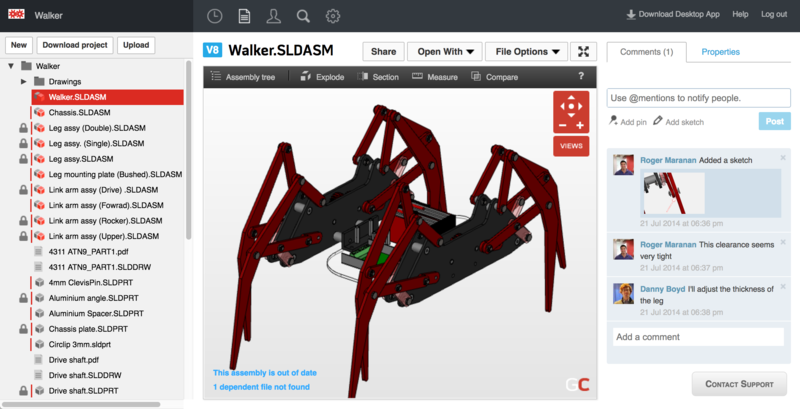 Log into grabcad.com, and switch to Workbench in the upper left corner. This brings you to the projects list page. Click Create new project and give it a name such as "Print Requests." You may wish to use a different project for each department that is requesting parts. After you create the project, you are brought to the Workbench web interface. Click on the Users tab, and click on Invite Users. 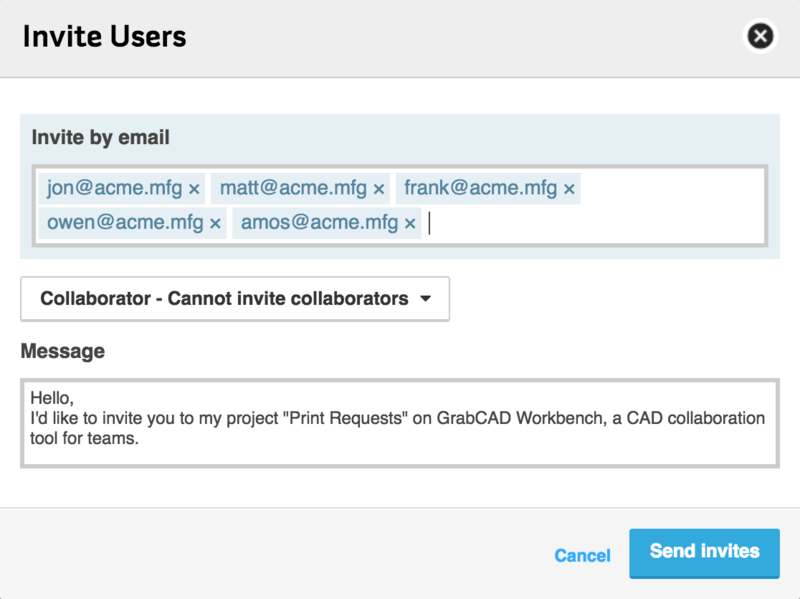 Invite all the users who normally send you print requests, and give them the role of Collaborator. The users you invited will be uploading their print requests into the project. When they click the link in the invitation, it will bring them to the Workbench web interface. From there, they can go to the Files tab, create a new folder, and drag their files into the project. 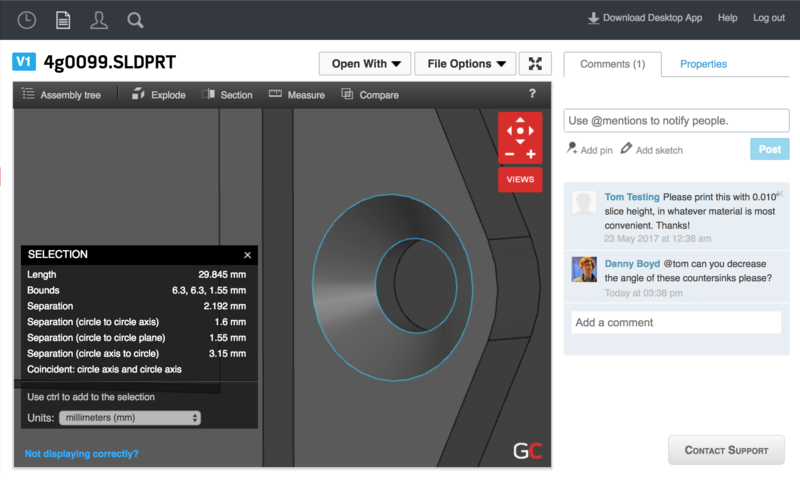 With the great in-browser 3D viewer of Workbench, your users can use pins and comments to indicate special features and requests, including print orientation and desired materials. You as the printer operator can also use this 3D viewer to collaborate back and forth with your users. To get a full overview of all the great features of the 3D viewer, including the advanced measurement tool shown above, click here. If they need to change their CAD files based on some print feedback you give them, they can upload a new version right in the same folder. 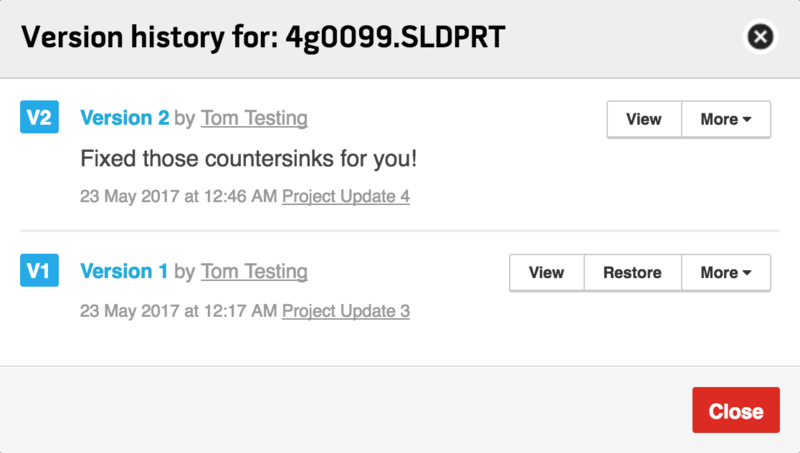 Workbench's version control will automatically keep the old version but only presents the newest version to all parties to avoid confusion over which one should be printed. 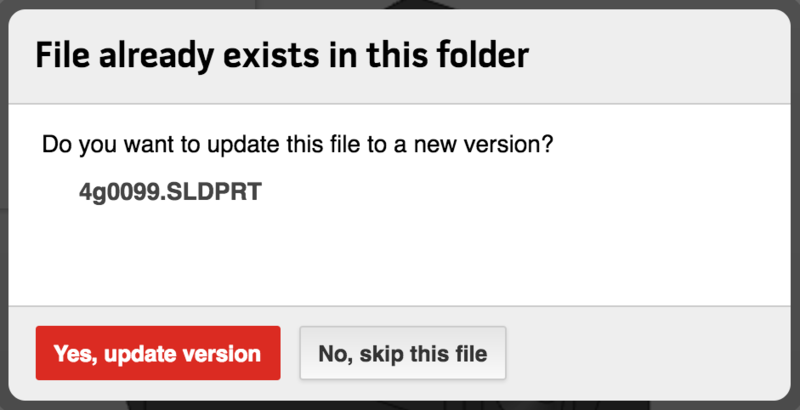 You will receive an email notification that a new version of the file is available. 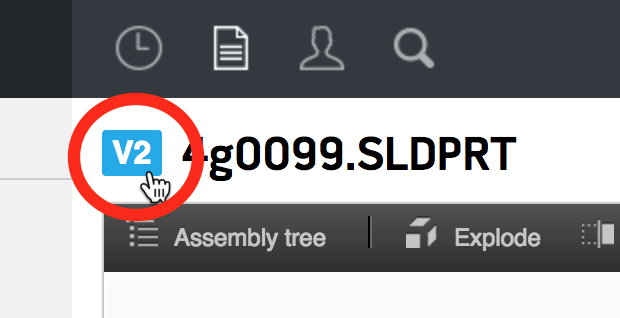 If you are set up with the Workbench Desktop App, you can download many changes at once to your local GrabCAD folder. When you print their file, you can leave a comment with the name of the print job. 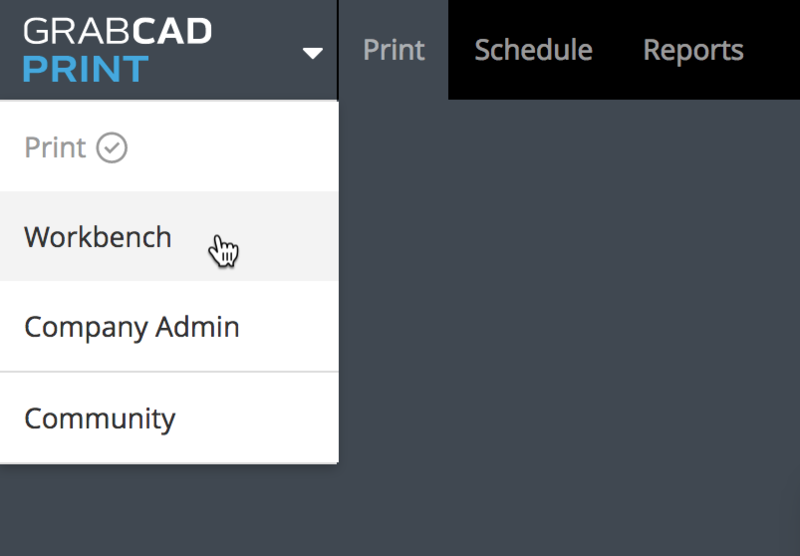 If you have GrabCAD Print Server up and running, the user can keep track of their job in the Schedule View. Users you invite to Workbench projects become members of your company account, and therefore can access the Print Schedule View in the browser, as well as the mobile app.